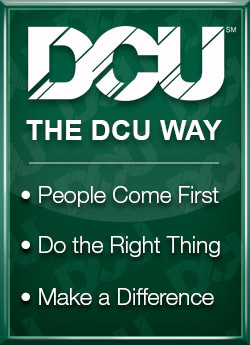 What Can DCU Save You? Following are the days in 2019 that our Branches, Information Center and DCU’s Operations will be closed or closing early. During these times, 24-hour service by Online Banking, Mobile Banking, ATM, and Easy Touch Telephone Teller System by calling 800-328-8797 will be available.